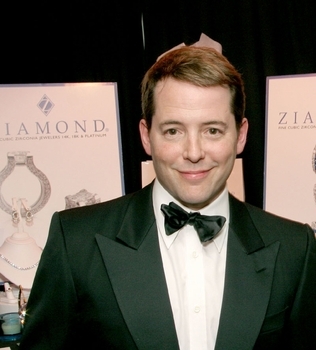 Matthew Broderick, a.k.a. Mr. Sarah Jessica Parker, visited with Ziamond Cubic Zirconia CZ Jewelers and the collection of gold and platinum jewelry. Ziamond Cubic Zirconia CZ Jewelers is recognized as top quality Master Jewelers. Ziamond is commissioned by many customers to create or reproduce the jewelry design of their dreams with Ziamond's highest quality hand cut Cubic Zirconia cz gems. Whether the design you want is to be made in 14K, 18K solid gold or PLATINUM, Ziamond can and will surpass your expectations with the finest cubic zirconia jewelry available anywhere.